How Does It Feel to Die in a Tsunami? Everyone who experienced the tsunami saw, heard, and smelled something subtly different. Much depended upon where you were, and the obstacles that the water had to overcome to reach you. Some described a waterfall, cascading over seawall and embankment. For others, it was a fast-rising flood between houses, deceptively slight at first, tugging trippingly at the feet and ankles, but quickly sucking and battering at legs and chests and shoulders. In color, it was described as brown, gray, black, white. The one thing it did not resemble in the least was a conventional ocean wave, the wave from the famous woodblock print by Hokusai: blue-green and cresting elegantly in tentacles of foam. The tsunami was a thing of a different order, darker, stranger, massively more powerful and violent, without kindness or cruelty, beauty or ugliness, wholly alien. It was the sea coming onto land, the ocean itself picking up its feet and charging at you with a roar in its throat. It stank of brine, mud, and seaweed. Most disturbing of all were the sounds it generated as it collided with, and digested, the stuff of the human world: the crunch and squeal of wood and concrete, metal and tile. In places, a mysterious dust billowed above it, like the cloud of pulverized matter that floats above a demolished building. It was as if neighborhoods, villages, whole towns were being placed inside the jaws of a giant compressor and crushed. He arranged the meeting for the following evening. His friend’s name was Teruo Konno and, like Toshinobu Oikawa, he worked in the branch office of the Ishinomaki city hall. Oikawa was the model of the local bureaucrat: quiet, patient, dogged. But Konno was an imaginative and restless character. As a boy, he had dreamed of leaving Tohoku and traveling the world. His parents, seeking to quell this impulse, had discouraged him from going to university, and Konno had spent his life in the place where he grew up, and his career in local government. In March 2011, he had been deputy head of the local development section, responsible, among other things, for “disaster countermeasures.” Few people were more knowledgeable about the menace of earthquakes and their particular threat to the Kitakami area. “Our assumption was that there would be another big quake,” Konno said. “There hadn’t been a tsunami since the 1896 and 1933 quakes, so we expected that too.” There was no doubt that the small village where the town office was located, situated at the mouth of the river, two and a half miles downstream of Kamaya, would be in its path. Konno and his colleagues bent their efforts to ensuring that they would ride it out. The two-story branch office had been built on a rise fifteen feet above sea level, and its ground floor had been elevated a further ten feet above that. Essential utilities, such as electricity and communications, had been installed on the uppermost floor. On the wall was a digital readout that recorded the intensity of tremors as they occurred. As recently as the previous August, the city government had conducted a drill in which police, fire brigade, and local officials acted out their roles in case of an earthquake and tsunami. When the moment finally arrived, Konno experienced it with the calm detachment of a disaster professional. “It came in three stages,” he told me. “When the shaking first began it was strong but slow. I looked at the monitor. It showed an intensity of upper five, and I knew that this was it.” Even as the rocking continued, he was calling to his staff to make a public announcement: a tsunami warning, he knew, would soon be issued. “But the shaking went on,” Konno said. “It got stronger and stronger. The PC screens and piles of documents were all falling off the desks. And then in the third stage, it became worse still.” Konno gripped his desk amid a tumult of competing sounds. Pieces of office furniture were rattling and colliding as they shunted across the room. Filing cabinets were disgorging their files. Now he looked up again at the wall-mounted readout of seismic intensity: it displayed only an error message. Then, gradually, like the slowing of a beating heart, the shaking and the panic eased, and the employees of the Ishinomaki Kitakami General Branch Office sprang to their appointed tasks. Soon there were fifty-seven people in the branch office. Thirty-one of them were locals who had evacuated from more vulnerable premises to the safety of the strong, modern building. They included six children from a nearby school, the counterpart of Okawa Elementary School on the north side of the river, as well as eight old people from the local day-care center. Three of them were in wheelchairs; four more were carried in on stretchers. Volunteers sprang forward to help them safely and comfortably up to the sanctuary of the second floor. At 3:14 pm, the estimated height of the imminent tsunami was revised from 20 feet to 33 feet. But at some point the backup electricity generator failed, and Konno and his colleagues never received this information. It would have made no difference anyway. The building, mounted on its elevation, faced inland, with its back to the river and its front entrance facing the hills over the small village below. From his window, the only water Konno could see was a sluggish brown stream, little more than a drain, which trickled into the Kitakami. “That was the first thing I noticed,” he said. “The water in the creek had become white. It was churning and frothing, and it was flowing the wrong way. Then it was overflowing, and there was more water coming in from the river behind, and it was surrounding the houses. I saw the post-office building, lifting up and turning over in the water. Some of the houses were being crushed, but some of them were lifting up and floating.” The destruction was accompanied by that mysterious noise. “I never heard anything like it,” Konno said. “It was partly the rushing of the water, but also the sound of timber, twisting and tearing.” In the space of five minutes, the entire community of 80 houses had been physically uprooted and thrust, bobbing, against the barrier of the hills. Through the window, he observed that the parking lot below was being washed over by black water. At the same moment, a profound shudder went through the whole building. Even without being able to see it, Konno understood what had happened: the large plate-glass windows on the ground floor had broken under the pressure of the wave, which was washing through the lower part of the building. The town officials, the police, the firemen, the schoolchildren, and the old people and their carers looked on helplessly as the water surged. Konno, remembering the disaster drills, gave the order that everyone should move into a corner room, structurally the strongest part of the building. As he closed the door on them, there was another mighty impact. One of his subordinates ran to report to Konno what happened: the roof of the large public hall next door had lifted off and collided with the branch office. Konno returned to his desk. The speed of events was difficult to grasp. Until moments ago, he had been leading a trained team in the execution of a well-rehearsed and rational plan. Now he, and all those around him, were facing death. The forces acting on the building were pushing it to the extremes of its resistance. The ground floor was completely underwater; now the wave was rising through the upper floor. Konno climbed onto his desk, as black water sucked and slapped around it with violent force. Then there was another, immense percussion, and suddenly he was tumbling through open air. The outside world was cold; Konno had the sensation of falling through it very slowly. He was able to take in the sight of the building from which he had just been propelled, with water surging out of all its windows. He was aware of another colleague, a man named Abe, falling through space alongside him: the image of Abe’s surprised, bespectacled face lodged in his mind. Then Konno was in the water. As he was viewing the gallery of his past, Konno found himself able to move his neck, and then his arms and legs, and, kicking and thrashing, he propelled himself upwards and broke the surface. He cast around for something to hold on to. A tree branch came into his grip, but it was too small. He exchanged it for a thicker spar of timber. On the surface, he could make out Abe, minus his glasses, gripping on to a sturdy log and being carried north, away from the river and towards the hills. But Konno was spinning in the opposite direction, towards what had been the river and was now the sea. He caught hold of a wide wooden panel, the section of a house’s outer wall, a stable support compared to the rotating tree branches. Gripping this, he drifted steadily towards the bank again and the hills that rose out of the flood. He could tell, more or less, where the submerged embankment and road must be; he imagined lowering his feet in the shallower reaches and wading to safety. But just as hope was returning, the tsunami began to withdraw, and the stampeding waters reversed direction. Konno found himself being carried back out into the stream and towards the river’s mouth. Familiar landmarks passed at racing speed. He saw the outline of his office building—it had not collapsed after all. Clinging to his raft, Konno was rushed downstream by the withdrawing tide, through the river’s gaping mouth, and out towards the horizon of the Pacific Ocean. He lost all sense of time passing. He could see or hear no other living creature. It was as if the whole world had succumbed to the flood and he was its only survivor. 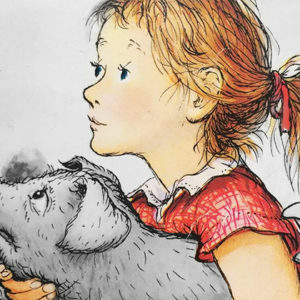 His Ark was that section of wooden wall, six feet by three, which he half gripped, half sprawled over. It saved his life—a smaller, less stable support would quickly have exhausted his energy and cast him off. Although he had crossed the threshold from river to sea, he remained within the broad sweep of Oppa Bay, and he never lost sight of the land. After the first great pulse of the tsunami had pulled him back, the next one surged in and bore him back up the river again. He was swept beyond the starting point of his journey towards the spot where a small park had formerly been, below a high section of embankment. The water was pouring over it in a black waterfall; Konno floated at the top, teetering on its brink. He was afraid that in the churn of the waterfall he would lose consciousness, and momentarily he did. When he came to, he was suspended on a crust of jammed and overlapping rubble. In it was the red-tiled roof of a house, sturdy and intact around its wooden frame. He pulled himself up onto it, and for the first time since falling from his office he was out of the water. Then began what he described as the most frightening part of his ordeal, as he suddenly became aware of the profound cold. It was Mrs. Suzuki. She had seen the roof, and the prone figure clinging to it, without recognizing who it was. And now, as if guided by her voice, the floating roof was edging towards her house. It came to a stop, wedged up tight against her front door. He woke abruptly the next morning, electrified by anxiety. From Mrs. Suzuki’s window, he could see that the water had retreated; ignoring her anxious pleas, he made his way towards the town office. He wanted to find the others who had been sheltering there, the people whom he had herded into the secure room. It was no more than a few hundred yards from the old lady’s house. Picking through snow and rubble in a pair of slippers, it took him an hour. He scaled a rise from which the office was visible, and immediately understood that the worst had happened. A single other survivor from the town office had washed up to the hill and been helped to safety. Everyone else had died—the policemen, the firemen, the children, and the old people on walking sticks and in wheelchairs. Abe, whom Konno had seen bobbing towards the hills, had reached them, alive. But there he had lost his strength and died of exposure during the night. What was it that spared Konno when so many others died? Was it physical strength or mental determination—or just the lucky timing of a last deep breath of air before he plunged into the water? His body was black with bruises where objects in the water had collided with him, but his face was unmarked, and his worst injuries were three broken fingers. He returned immediately to work, organizing refugees, identifying bodies, consoling the families of the bereaved. They were dreadful, crushing tasks, even for one who had not gone through such an experience. But Konno found that it had left him with an indifference to mental hardship, and an absence of trepidation of any kind. He had no fear, of life or of death. He was like a man who had suffered a dangerous disease, to survive with complete immunity to future infection. The prospect of his own extinction—now, soon, or far in the future—was a matter to him of no concern at all. 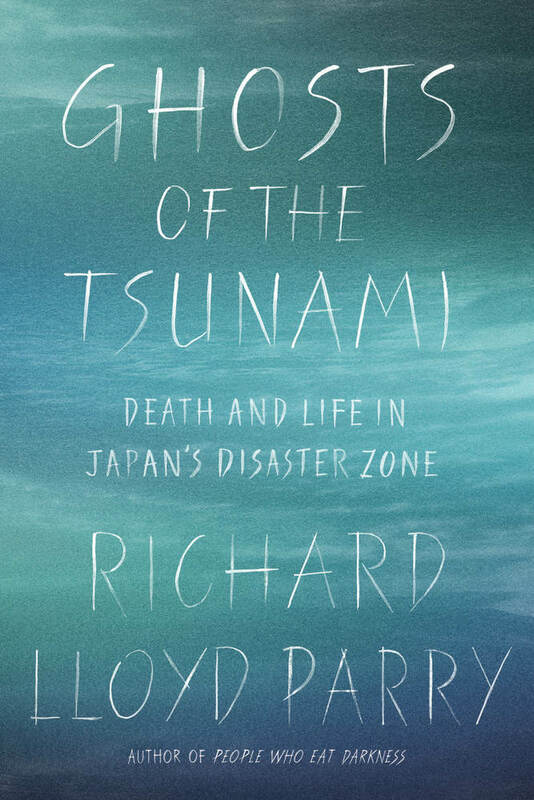 From Ghosts of the Tsunami, by Richard Lloyd Parry, courtesy FSG. Copyright 2017 by Richard Lloyd Parry. Richard Lloyd Parry is the Asia editor and Tokyo bureau chief of The Times (London) and the author of In the Time of Madness and People Who Eat Darkness.